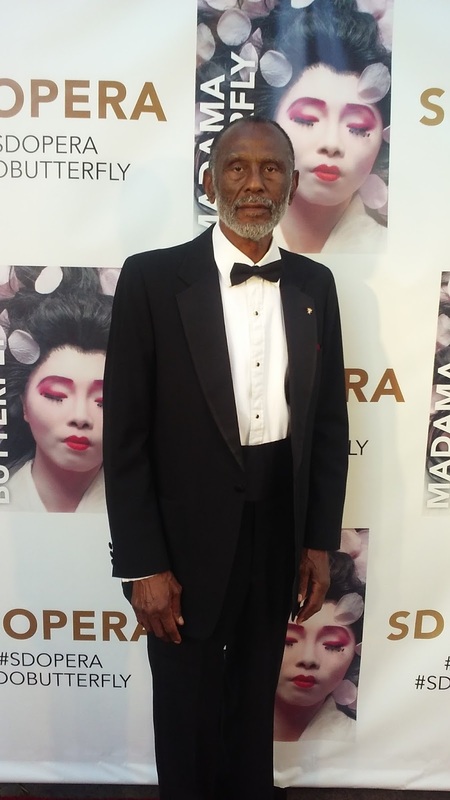 San Diego Opera uplifted diversity in opera with international casting of Madama Butterfly. I traveled from Long Beach to San Diego for the April 19th performance. All production components, music and voices were blended into perfection. 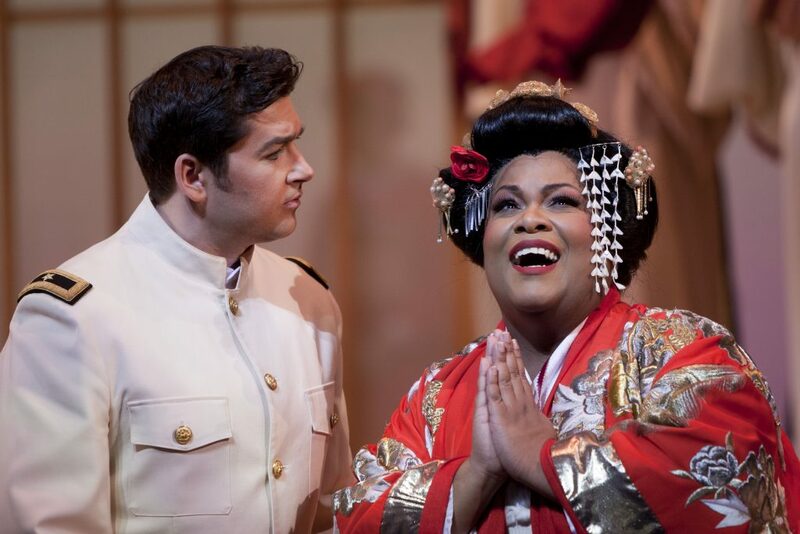 Soprano Latonia Moore captured the full hall as Cio-Cio San with moments of softness and unparalleled power. Her next stop as Cio-Cio San is the Metropolitan Opera. See picture of Latonia and Tenor Teodor Ilincāi who sang the role of Pinkerton. 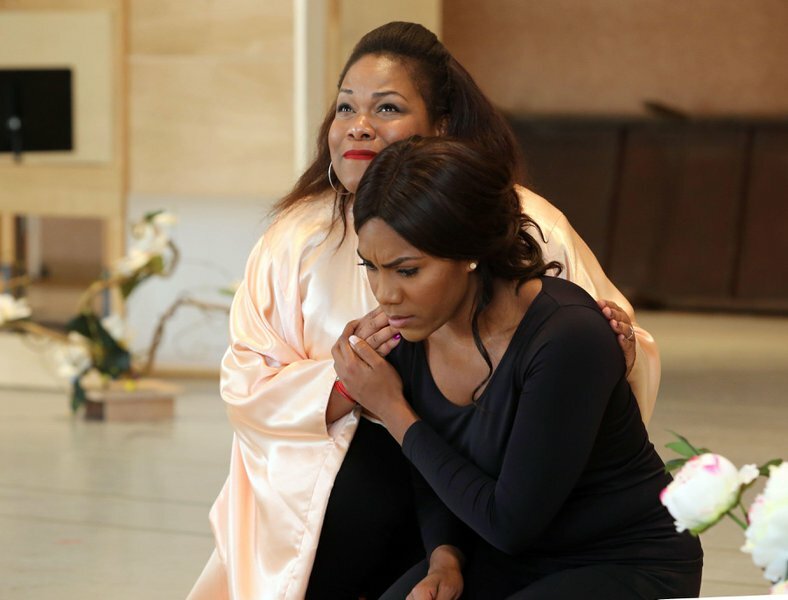 Latonia Moore donated performance of two arias from Aida during 2012 concert in Los Angeles to celebrate the 150th anniversary of Emancipation Proclamation co-produced by MusicUNTOLD and KUSC Classical Radio. April 19th was my first time seeing/hearing J'nai Bridges who sang the faithful Suzuki in Madama Butterfly. I look forward to seeing her sing again as Nefertiti in Akhnaten with LA Opera starting November 5, 2016. See rehearsal picture of Latonia and J'nai. Also see picture of me at the April 19, 2016 opera performance.